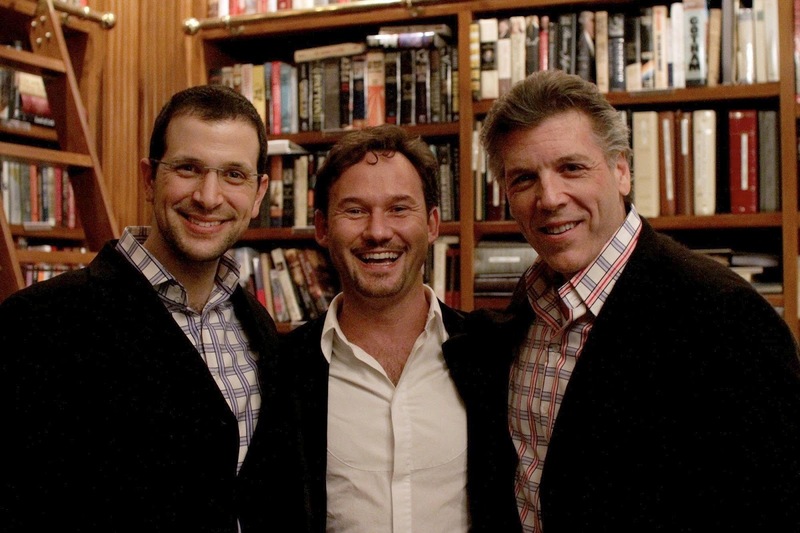 If you were going to copy the famous Three Tenors format and use superstar barihunks, you couldn't do much better than Luca Pisaroni, Mariusz Kwiecien and Thomas Hampson. The three singers were recently photographed at a party for the Santa Fe Opera in New York City. All three baritones will be performing with the opera company this summer. Is it just us, our do Pisaroni and Hampson appear to be wearing shirts with matching patterns? Perhaps the family did some shopping in Santa Fe's famous downtown. Pisaroni will be performing the title role in Rossini's underperformed masterpiece Maometto II, which also features soprano Leah Crocetto, a voice you won't want to miss! Pisaroni's father-in-law Thomas Hampson will be displaying his sinister side as Scarpia in Puccini's Tosca. International sensation Mariusz Kwiecien will be taking on one his favorite roles, King Roger, in the opera of the same name by fellow Pole Karol Szymanowski. The three men are some of the most popular singers on this site and we're thrilled that all be together at one of the greatest music festivals in the world. If you haven't been, book your travel plans today. The season opens with Tosca and June 29th. Visit the Santa Fe Opera website for additional information. I just wish the Santa Fe Opera were located in some other part of NM besides Santa Fe! I've lived in NM for nearly 15 years, have been to SF only once. Hate the place! This said, I'm dreading the fact that I need to go up there for decent barihunks! Oh, well. You gotta do what you gotta do. Most people I know who live here avoid the place like the plague. I lose my religion over the insanity of the roads.